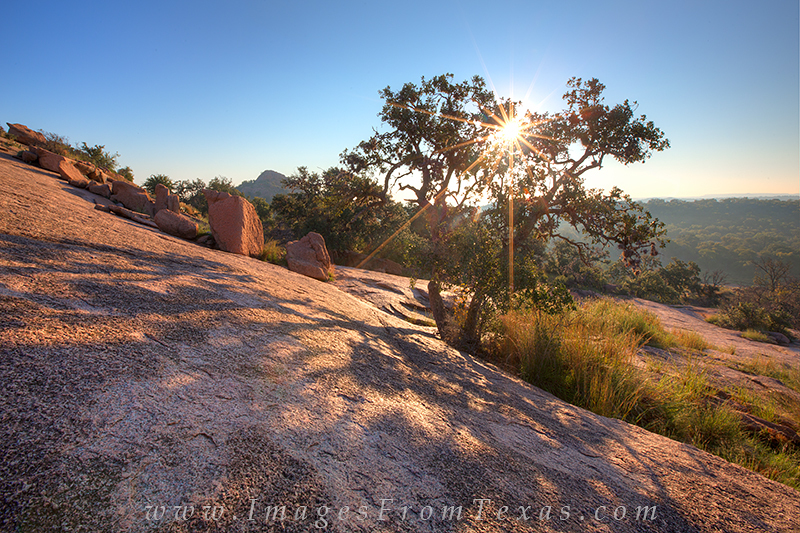 I'd spent the morning on the northwest side of Enchanted Rock photographing sunrise from Moss Lake. On my return, I had to stop and capture this starburst as the sun crept above Turkey Peak, especially with the shadowns stretching along the granite. Photo © copyright by Rob Greebon.